Offering top quality is key to safety and performance in rigging components. Petersen Stainless Rigging offers the best in quality of its stainless steel rigging products. Peteresen Stainless Steel Shackles are individually tested to exceed load limits before leaving the manufacturer to assure the strongest and safest shackle for your application. Nance & Underwood offer all Petersen Stainless rigging products with confidence. 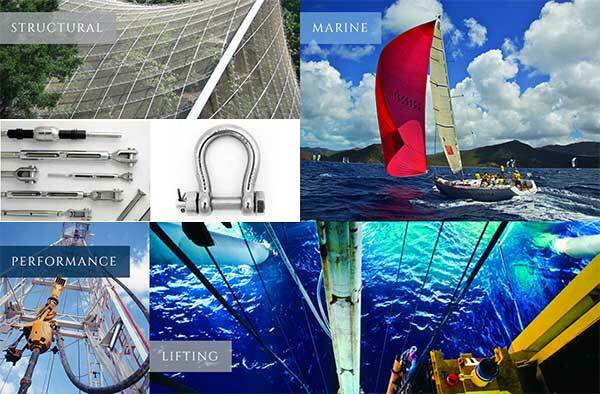 Nance & Underwood Rigging and Sails is your source for all of your rigging and sail equipment and services world wide. We can ship rigging and sails gear anywhere. No matter where you are, Nance & Underwood will always be here to assist you. We can arrange the repair of your rigging hardware and/or sails here in our facility. Contact Us today for more information.